Just like with humans, cancer can happen among animals. There are certain dog breeds that are more predisposed to developing it because of certain environmental and hereditary factors. Dog breeds that are at risk at developing cancer include Golden Retriever, Labrador, Boxer and Rottweiler. Cocker Spaniels and a few terrier breeds are also prone to melanomas. As with humans, early detection is the key to successfully treating a dog for cancer. Being the owner, you have to know the signs and symptoms of canine cancers so you can keep your pet healthy. 1. Have your vet check on your dog at least twice a year for any obvious signs or symptoms of cancer. Remember that the risk of cancer also increases with age. To protect your female dog against breast, have her spayed once she enters heat for the first time. About half of all the tumors found in dogs are in the mammary glands or breast, and half of these are malignant or cancerous. 2. Weigh your dog at least once every season. Weight loss is a common symptom of canine cancer. Do not ignore weight caused by your dog not eating. Loss of appetite or trouble swallowing can both signal the presence of a tumor. Unusual behavior like walking in circles, forgetting training or listlessness can all signal cancer. Lethargy and bouts of tiredness can also be significant warning signs. 3. Keep their teeth clean and regularly brush them with a specially formulated toothbrush and toothpaste. As you brush, watch out for gum bleeding and discoloration, as well as mouth sores and bad breath. When washing your pet, feel for lumps as you shampoo. Also watch out for any persistent sores on its body and unusual odors. 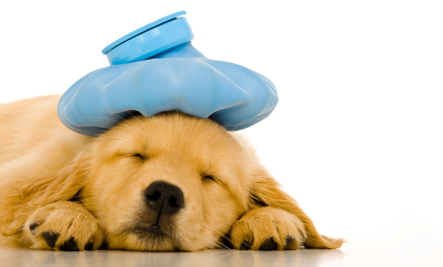 If at least one of these symptoms are present, immediately have your vet check your dog. 4. Keep a diary of the habits of your dog. Note the number of cans of food he consumes so you can effectively monitor his appetite. Also take note of how often he urinates or if he has had persistent problems with diarrhea and vomiting. Any unexplained bleeding or discharge is a red flag for illness. Note any changes you notice in their behavior, including their alertness and senses. If you have a record of such changes, you can help the vet make a quicker and more thorough diagnosis. If you suspect that your dog has cancer, look for a canine cancer doctor to get a proper diagnosis. Bring your dog to an emergency vet clinic because the typical small animal hospital might not have the necessary equipment to diagnose and treat your dog, such as radiation oncology for pets. 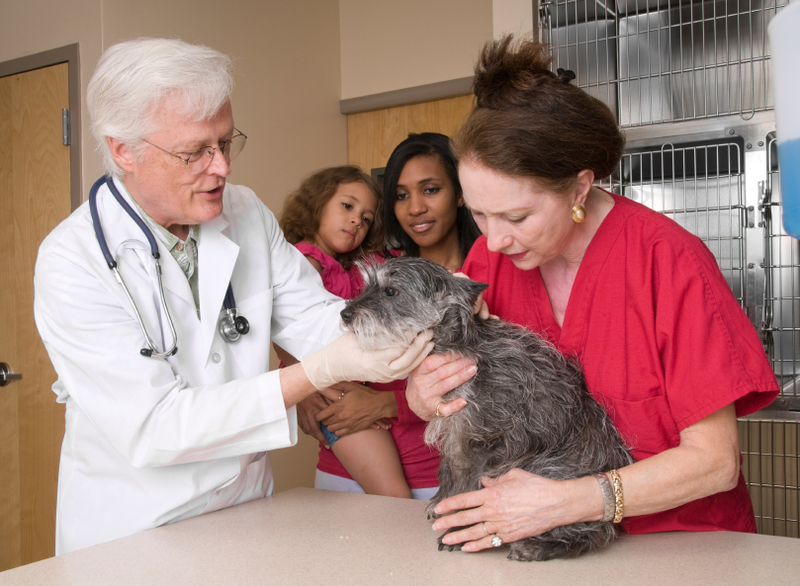 A vet surgeon in a specialty vet hospital can also perform biopsies to identify abnormalities.